My first experience here was top notch, from the receptionist to the hygienist to the dentist, Dr. Sands. The office is gorgeous and the staff are very friendly and personable, not trying to hard, not phony in any way, just nice, real, down to earth people who seem to enjoy their work. I was seated right away and the hygienist got right to work, with x-rays (high tech, on a monitor in front of you), then the cleaning – I spent no time waiting in the room or in the dentist chair. I think this was a first in the out of many dentists I have been to. Then, Dr. Sands and I had a great talk about my situation. I face a few options in a range of prices and he walked me through them all giving pros and cons and costs and answering ALL my questions. It was just a cleaning and exam today, but I’m considering some cosmetic work on my front teeth and based on this experience I feel very good about moving forward. After 2 decades of searching, I discovered Thin Dental Veneers and more importantly, Dr. Sands and their staff. They took their time to explain all of the options and how everything worked. Their attention to detail was more than I could dream of. People no longer ask me what is wrong with my teeth, but rather “What did you do to make them so perfect!”. Dr. Sands and his team not only gave me a complete smile makeover, but also put a smile on my face. I love Dr. Sands, he’s truly the very best at cosmetic dentistry! Dr. Sand truly cares about you getting perfect results, being the perfectionist and artist he is! No matter what, he’ll truly go out of his way to make sure you do too! Plus most dentists are knowledgeable, but Dr. Sands is also very sensitive to the very real fears that many people have about dental procedures. He is very good at making you relax and calming those fears. Dr. Sands office makes excellent use of technology. Computer monitors are in every one of several rooms and there’s ample dental equipment, x-ray machines, and TV’s in every room for you to take your mind off the procedure and relax. Dr. Sands also has the best of the best specialty dentists. He’s the very best at what he does too! Not too mention extremely caring and a perfectionist as well which is exactly what I want in a surgeon. The men and women that run Dr. Sands office are always friendly, professional, caring and helpful! They are all rockstars! 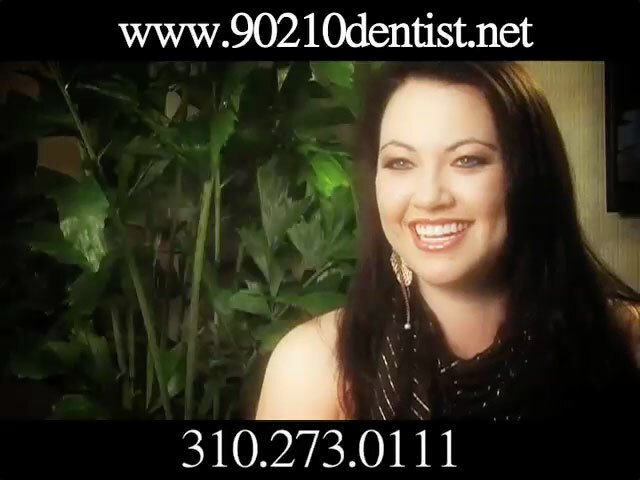 You will not find a better cosmetic dentist and staff! Do yourself a big favor go see Dr. Sands. He and his staff will leave you feeling like you hands down made the right decision by making him your dentist!!! Give yourself a “treat” now, don’t hesitate or wait! I have wanted to go to Dr Sands for a long time, after hearing about him from many sources. I am SO GLAD that I did. He is AMAZING. The entire experience has been the finest. The staff is caring, considerate and kind. I have needed to have a crown on my front tooth, and I have seen many dentists with mediocre results. Dr. Sands is thorough, interested and listens to what you want. On the physical level his work was painless, gentle and efficient. On the cosmetic level I am convinced he is the BEST in the Country. The fun part is that he is such a nice man, and everyone in the office works together to make your dental experience the best it can be. I was blown away by the amazing service I received at your office!! The great service started with the first phone call when all I needed was information. The day of my appointment I was greeted like family and was made to feel comfortable right away. EVERYONE was amazing! The receptionists, the hygenist, and the orthondist and assistant. Your staff is a SUPER example of what customer service should be…I’d like to bottle it up and bring it with me everywhere!! Everything was handled great! Dr. Sand’s entire staff was extremely friendly and welcoming. Everyone seemed genuinely interested in helping make sure I was as comfortable as can be every step of the way. I especially appreciated how flexible and accommodating they were to my schedule as I am from out of town. The entire staff went above and beyond to help. I would highly recommend Dr. Sands and his amazing staff. I can’t thank you enough!! Great office! Dr. Sands has been my dentist for many years now. Everyone working there…and, of course, Dr. Sands, is awesome! Dr.Sands created my smile from scratch pretty much and I get compliments all the time from people for how nice my teeth look! Yet, they are so natural in appearance, that when I tell folks they are looking at dental work, they are amazed. Would recommend Dr. Sands to anyone!!!! I always feel so well taken care of at Dr. Sands office. I have been going there for about 4 or 5 years now and everyone is amazing, warm, friendly, attentive and just great healthcare providers. Love Janina and Magaly, had a wonderful experience with Dr. Kahn and Megan today and SO appreciate Dr. Sands checking in with me and proactively contacting the periodontist in their building to consult with me this morning so I wouldn’t have to come back for another appointment. I didn’t request that or even expect it, just so thoughtful of him!!! I love that I have such credentialed and experienced dentists and specialists taking care of me. It’s really rare these days to find that combination of high touch service, care and expertise in healthcare providers. Thank you all at Dr. Sands office. You make it such a pleasure to go to the dentist! Your office has been a pleasure to go to. With the warm staff and great Dentist I really enjoy going to my appointments. You also don’t miss a beat. How sweet you sent me a Happy Birthday email. Dr. Sands and his entire office staff are above and beyond with their friendliness, professionalism and quality work they produce. Both my husband and I got 10 porcelaian veneers each and the experience was awesome and result AMAZING! I get compliments constantly. I can’t say enough about Dr. Sands. I have also had my teeth cleaned there and the hygenist is top-notch! When it comes to my teeth I want the best. I didn’t want to go to someone just because they had the lowest price. You can definitely tell the difference between a wholesale dentist and a pro, Dr. Kevin Sands is a pro!!! I would refer everyone to Dr. S. Going to his office was the best choice i ever made. Dr. Sands is worth every penny!! I am a struggling actress and have had a lot of difficulty booking gigs. The day after i had my teeth done I booked a MOVIE!!! Its got to be the smile. Thanks for everything Dr. Sands. I never had a massage and dental work at the same time…to have the stress off of me and reduce with hand massage is excellent! One of my specialties is stress management…great forward thinking! I have always been fearful of going to the dentist, subsequently I have always had poor dental health. When my co-worker heard about my dental woes, she referred me directly to Dr. Kevin Sands. He was so calm and patient with me, I was so impressed. Dr. Sands put together a treatment plan that would not only bring me up to excellent dental health but was also in my budget. Dr. Sands has given me a reason to smile!!!! As always i had a wonderful visit. No cavities again for me woo hoo! I have wanted to go to Dr. Sands for a long time, after hearing about him from many sources. I am SO GLAD that I did. He is AMAZING. The entire experience has been the finest. The staff is caring, considerate and kind. I have needed to have a crown on my front tooth, and I have seen many dentists with mediocre results. Dr. Sands is thorough, interested and listens to what you want. On the physical level his work was painless, gentle and efficient. On the cosmetic level I am convinced he is the BEST in the Country. The fun part is that he is such a nice man, and everyone in the office works together to make your dental experience the best it can be. Jessica Hall recently tweeted about her visit to the office. Thanks Jessica, you look great. See you soon. so friendly! jeannina up front to magaly doing the cleaning. such nice people providing a very comfortable experience. The Xray tech, the dentist, the hygienist and the front desk staff were all amazing! Everyone is very polite. My cleaning was quick and painless. I always enjoy coming for my dental appointments. Staff is always very friendly and knows my name when I arrive. friendly, helpful staff. Great facility. Dr. Scott has angel hands – in other words- I did not feel any pain when he took care of my cavities. I would like to see the same dentist for each visit, so I know who is taking care of me. State of the art in skills and equipment. Addressed my main concerns speed, painless and excellent work. If you are demanding by nature, you will find your expectations met. Very professional and at the same time, very friendly and upbeat! I feel very comfortable asking questions and getting information regarding dental care! I was extremely satisfied with my visit; my wait time was minimal; very satisfied with the Dr.’s treatment and explanation of procedure. Staff very qualified and friendly. Excellent service, professional/friendly, clean/septic and all within 90210 walking area. you guys rock. glad I found you. I think Dr. Sands is a great dentist…that’s why I chose him to begin with. The office is run efficiently and I am a pleased patient. By far the best Dentist in the West, unparalleled service. Always super clean and the staff is always friendly and helpful. Easiest dental experience I ever had! Thank you Suzanne and Kevin for fixing me up! Everyone is helpful and takes the time to answer my questions. Always a very good experience–highly professional staff; friendly; knowledgable. Couldn’t ask for more! As usual, the service and staff were fantastic! Dr. Kevin Sands and his professional staff are world class! As usual, a terrific visit and cleaning! My recent visit to Dr. Sands office was great and I received excellent service. I have been going to Dr. Sands’ office for several years. I can always get an appointment at a convenient time, even on short notice. Their receptionists are friendly and helpful and I never have to wait long. I couldn’t ask for more! Dr. Sands entire staff is friendly and professional. Love Janina and Justin, all the dental assistants and Dr. Sands. I was having persistent pain in my tooth and Dr. Sands was able to quickly and easily diagnose the problem and immediately remedy it. I know that’s not a guarantee with every situation. I was so relieved and grateful! Thank you Dr. Sands! I always enjoy coming into the office. The staff is so welcoming and the dentist are professional. Best first visit ever. After my experience at this office, my entire idea of a going to the dentist is changed for the better. I will definitely refer friends to Dr. Sands. I highly recommend Kevin Sands, DDS and his associates. I have been a customer for several years now and have never been happier with a dental experience. My doc rocked. Nice guy. Understanding. Attentive. Made me feel good about the choice I made and I trust his judgement in regards to future dental work. Arrived a few minutes late and Jeannina greeted me with a big hello and smile. Only waited a few minutes for Magaly and she was done with my cleaning in 15 minutes! As always, Magaly is so friendly and we actually were laughing a bit…didn’t think it was possible with the tools in my mouth! As very caring and professional staff…and Dr. Sands is, without question, the best in his field! Would recommend him highly and without reservations! Everyone in the office was extremely friendly and expedited my trip as they knew I was parked at a one hour meter. seriously the best funniest nicest dentist ever!! Great job by Magaly on the deep cleaning. Would have given 5 stars, but hey, it’s a cleaning! I always have a great experience at Dr. Sands office. Everyone is friendly and smart and professional. They are excellent at providing feedback and always make regular visits quick and effortless. Highly recommended. Dr Sands and his staff run a top notch practice. Always professional, friendly and thorough. Everyone is always so nice and maintains my smile! Magaly is great. Ganini in the front desk is always greet everyone with smile and courtesy. I am always explained what we will be done for the visit and appointments are scheduled right away and I get called in in a timely manner. Excellent service, facility, and staff. A perfect experience. Being from out of town and losing a crown just before the “Living Legends of Aviation” Awards Gala I had a real emergancy. Dr. Sands fit me in and solved my problem quickly, cost effectively and with out pain. It was quick and delightful. The result that I got exceeded my expectations, and Dr. Sands and his artist responded carefully to my requests to make me extremely happy. I had McGaully (I don’t know how to spell her name) as my dental hygenist. She did a perfect job. She is very gifted and I told her she should go to dental school and become a dentist and practice with Dr. Sands. Justin and everyone in the office is wonderful as usual. They even fit me in a little early. Almost no waiting time in the reception area. The cleaning was quick and efficient. You’ll never dread a dental appointment again! The whole staff is amazing…all so pleasant and accommodating…making you feel like their only patient. The practice is spotless and comfortable with tons of natural light. I gladly make the commute from Valencia and wouldn’t consider going anywhere else. perfect for me. Also please note that all of your staff is friendly and positive! i always look forward to my visits. janina and justin in the front of the house are always welcoming, pleasant, delightful. dr sands is very personable! dr phelps has handled my care for the last two years. i’m sad to know she has moved on, but am confident that another highly capable dr. will fill that space. this practice upholds its high standards of excellence! in today’s service oriented world, it’s wonderful to find these lovely professionals are sincere in their relations with their patients! Yup… I love going to the dentist because of this office. Thanks for my beautiful smile Dr. Sands. HAVE BEEN A PATIENT FOR THE LAST 6 YEARS AND ALWAYS HAD A POSITIVE EXPERIENCE. I love this office and recommend it to all my friends. I wouldn’t go anywhere else. Great office, great people, very few issues. Dr. Sands and his staff are wonderful. Everything they do are 1st class all the way. I never feel like i’m at the dentist. I only wish they could do my hair at the same time. Very nice staff and made the experience for my 8 year old daughter a very pleasant one. Thank you for a great visit! I look forward to referring your services to my friends and clients. The office was able to squeeze me in before the Thanksgiving holiday. I was greeted warmly and waited for a minute before I was seen and taken care of – this nothing less than what I usually experience. Thanks so much! Clean, professional, quality work. I’ve never had to wait long either, as with other dental offices. I can’t complain about a quick and painless cleaning! All went well and I loved how friendly the staff is even at 8 AM! I actually look forward to my appointments!! Magaly is the best Hygienist ever. Very gentle and thorough. The atmosphere is great with a very pleasant staff.